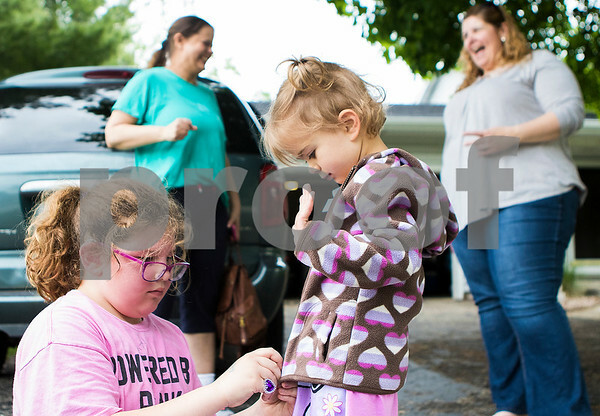 Hanna Zapadinsky (left), 7, helps friend Diana Robarts (center), 3, with her coat while their mothers Tina Robarts (left) and Stacy Zapadinsky (right) sign to each other in conversation after the kids got home from school on Wednesday, May 11, 2016. The deaf elementary school age children from DeKalb Dist. 428 will attend Tyler Elementary in DeKalb next year with hearing abled children.